In 1st place: Cymbria Lions Club! In 2nd place: Arnold MacLean! In 3rd place: Xandra van der Geer! Thank you to our many volunteers who made the day run smoothly and to our generous sponsors… we appreciate you! Thank you for supporting your local watershed group and for helping make the work we do possible! A HUGE THANK YOU TO THE SPONSORS THAT HELPED MAKE THE DAY POSSIBLE! 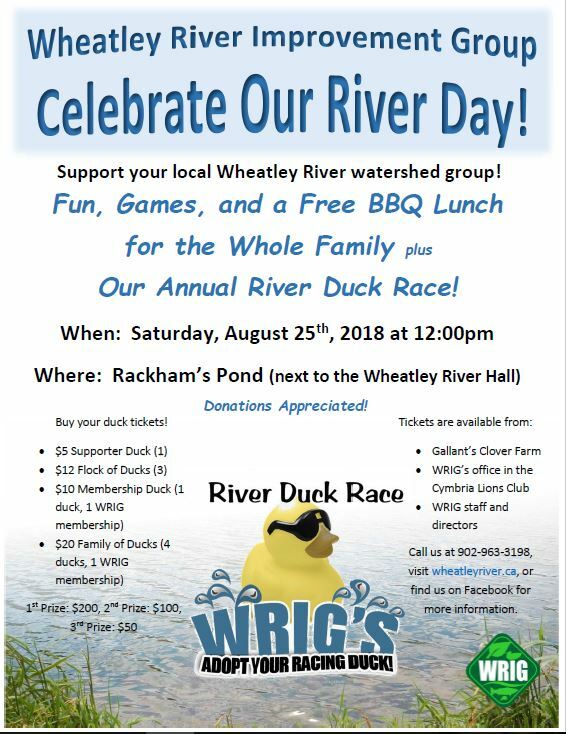 The Wheatley River Improvement Group’s Celebrate Our River Festival and River Duck Race is coming up and you are invited! Join us on Saturday, August 25th at Rackham’s Community Pond for this fun, family-friendly event. 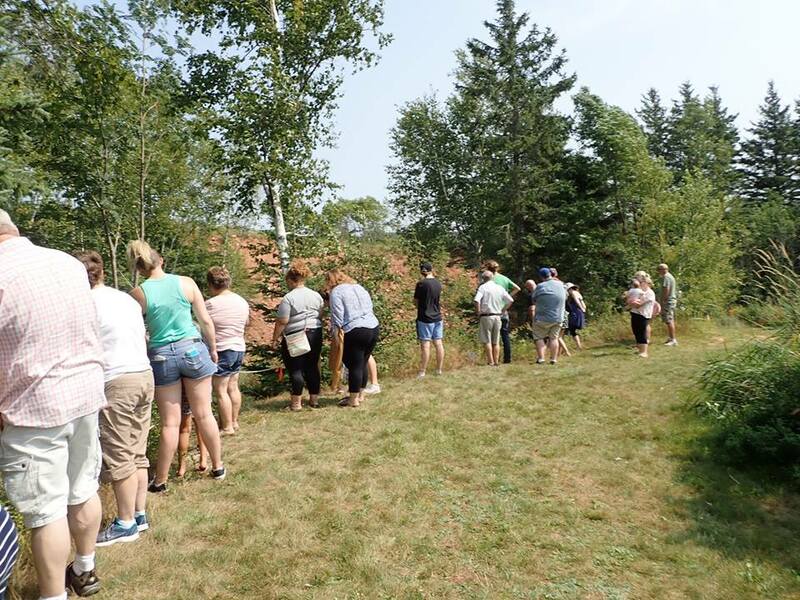 This is a great opportunity to enjoy some time outdoors, to meet fellow community members and WRIG staff and directors, and to learn more about your local watershed group and the work we’ve been doing this summer. There will be a BBQ starting at noon with free hot dogs and drinks—donations are greatly appreciated. There will be a scavenger hunt, kid-friendly activities, and watershed information displayed at the pond as well. 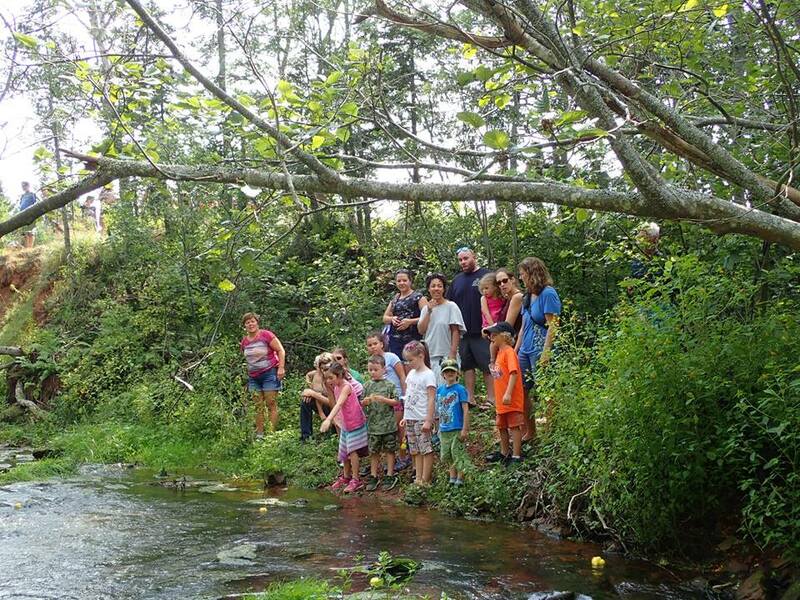 The River Duck Race will begin at 1:00pm, so bring your family and friends out to enjoy the fun! 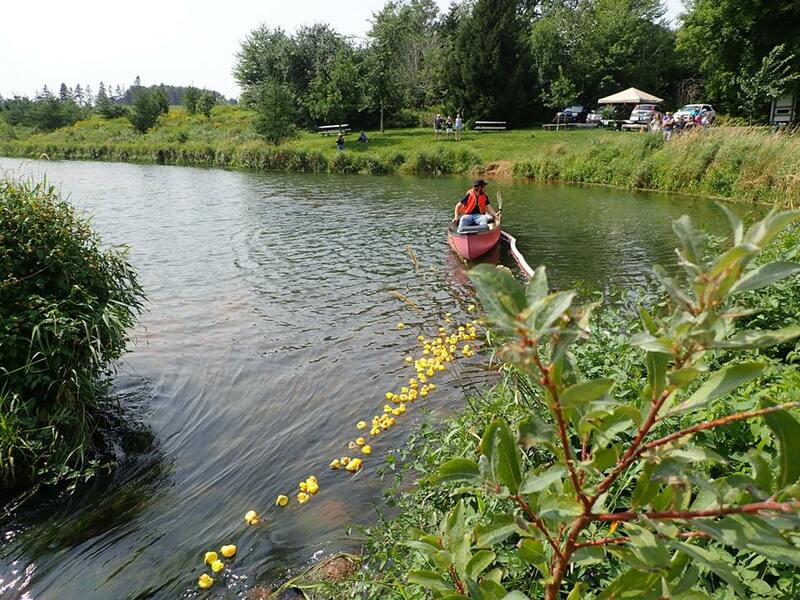 The rubber ducks are released into Rackham’s Community Pond and race down to the Wheatley River Bridge. There are cash prizes for those who hold the tickets for the first three ducks to cross the finish line so hopefully your duck will be the fastest! 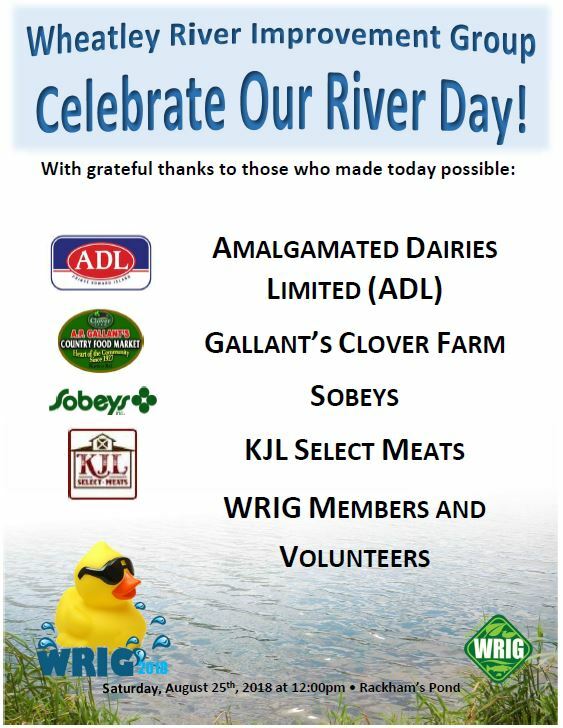 Duck tickets are available at Gallant’s Clover Farm Food Market in Rustico or from one of WRIG’s staff members or directors. Check out our Facebook page or contact our Watershed Manager, Maggie, by calling 902-963-3198 for more information!